In a minute, I’m going to ask you to chip in to support this campaign. But first, I want to give you a behind-the-scenes look at what you’ll get to experience when you join our team. 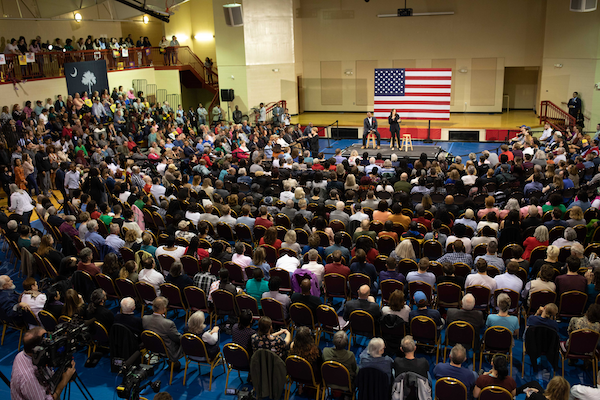 We just wrapped up Cory’s first trips to Iowa, South Carolina, and New Hampshire as a presidential candidate. So many people came out to meet Cory and talk about what’s on their minds — it really feels like the start of something big. Here’s a quick update on how it all went (and how Cory lost his voice). The very first person in Iowa to ask Cory a question brought up the Green New Deal — you gotta hear his answer about addressing the hard truths of climate change and climate justice. 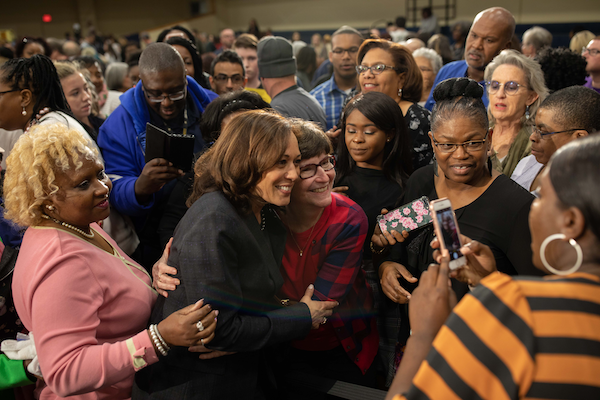 From Mason City to Waterloo to Cedar Rapids to Iowa City, Cory shared some laughsand a whole lot of selfies with supporters across the state. Right Direction Ministries welcomed this Jersey boy into their South Carolina flock, and Cory was pretty excited to find a fellow Newarker to worship with. While we were strolling through Concord, New Hampshire, we met a dog with a great sense of style and, importantly, unbeatable taste in presidential candidates. We had some jam-packed house parties filled with important questions and some pretty great hugs. And Cory even got to challenge some New Hampshire Young Democrats at PacMan. I can now tell you that Cory leads with love, but takes no prisoners when it comes to arcade games. Last but most definitely not least, Cory secured his most hard-fought endorsement yet from his now internet famous 99-year-old Aunt Alma in Iowa. This campaign is all about individual people like you coming together for our common purpose, and we really felt that this weekend. P.S. Everything we do (and every stop along these trips) is powered by donations from people like you. No corporate PACs or D.C. lobbyists — we’re building this the right way. Will you chip in? If you got this message from a friend, you can add your name now to get email updates directly from Cory 2020. This campaign is moving quickly. If you want to most up-to-date information, follow Cory on Instagram, Twitter, and Facebook. Red flags at the Department of the Interior. There are A LOT of open questions about Dave Bernhardt’s connections to fossil fuel fuel industry. 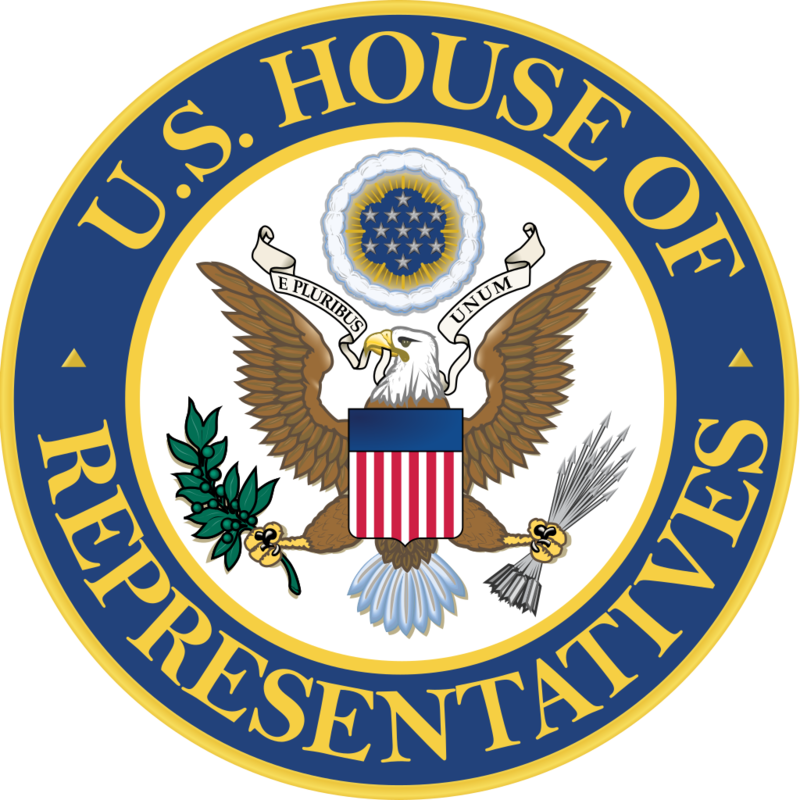 TJ Cox represents California’s 21st Congressional District and is the chairman of the Natural Resources Subcommittee on Oversight and Investigations. TJ is holding the Trump Administration accountable and fighting for our shared values — particularly on the environment. 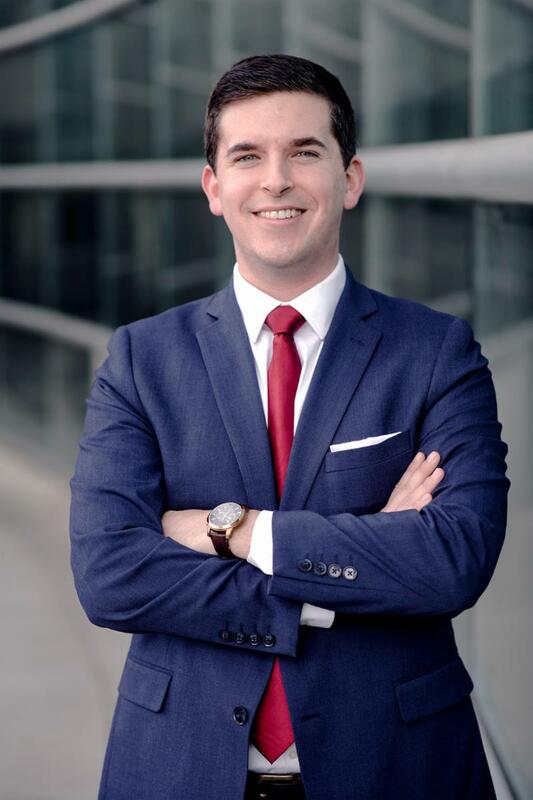 To support TJ Cox, please chip in a donation here. There are huge red flags at the Department of the Interior that you need to know about. For starters, Trump’s nomination for Secretary of the Interior is Dave Bernhardt. This guy is a former fossil fuel lobbyist best known for two things: Having dozens of conflicts of interests with the oil and gas industry, and expanding oil drilling on public lands while working under his predecessor Ryan Zinke — who, by the way, resigned amid a corruption investigation. While the government was closed during the shutdown, Trump raised red flags by letting Bernhardt keep staff on board to continue issuing leases to oil companies to drill on federal lands and in our oceans. Folks, there are A LOT of open questions about Dave Bernhardt’s connections to fossil fuel fuel industry. That’s why I’m on calling Trump and Bernhardt to halt ALL fossil fuel land leasing until we get answers about possible conflicts of interest. Can you add your name to my urgent petition today? We can’t let this Administration threaten our public lands and natural resources to benefit the fossil fuel industry — too much is at stake. Join me: Call on Trump to end fossil fuel leases in our oceans and public lands immediately. We need answers. Last night, we ended President’s Day by suing President Trump to stop him from stealing our taxpayer dollars to illegally pay for his wasteful border wall. We have a big fight ahead and I need you with me, Michael. Contribute $5 to show you’re standing with me in our lawsuit to stop President Trump’s fake national emergency. When President Trump first threatened to declare a national emergency if Congress wouldn’t fund his campaign promise, we warned that if he illegally overstepped his authority, California would see him in court. Now, we’re stepping up to defend the millions of Californians who would be hurt by President Trump’s attempt to rob Congress and taxpayers from California to Maine. Even President Trump admitted that this isn’t a true emergency and that he “didn’t have to do this.” So we’re taking action to hold him accountable for his words and illegal actions. We can’t let President Trump abuse his executive authority. Contribute $5 to show you’re with me. Washington, D.C. – Senator Dianne Feinstein and Representatives Jim Costa and TJ Cox sent a letter last week to the United States Bureau of Reclamation urging the Bureau to incorporate recent precipitation into the initial water allocations to Central Valley Project (CVP) water contractors given the high amount of rainfall and snow the region has experienced since the February 1st water forecast. The officials close their message by urging the Bureau to also continue revising allocations through the remainder of the winter and spring as conditions change. You can read the full letter sent to the United States Bureau of Reclamation online here. Stories like Diane’s make me so proud to be on this team. She’s right. Running a real grassroots-powered operation, prioritizing respect and integrity, investing in organizing, empowering volunteers like Diane – all of this is what makes this campaign truly unique and powerful. But to be real with you, doing this the right way – the way that Elizabeth believes we should – isn’t easy or cheap. It takes a lot of hard work and smart investments all across the country. So will you get all in early? Chip in $3 to ensure we have the resources we need to build this thing up properly. My name is Diane Goss. I’m a 74-year-old retired professor from Braintree, Massachusetts, and I’ve been volunteering for Elizabeth Warren for more than seven years. You could say I’m one of her biggest fans! Like every good Massachusetts Democrat from my generation, I first got excited about politics when Senator John F. Kennedy ran for President. 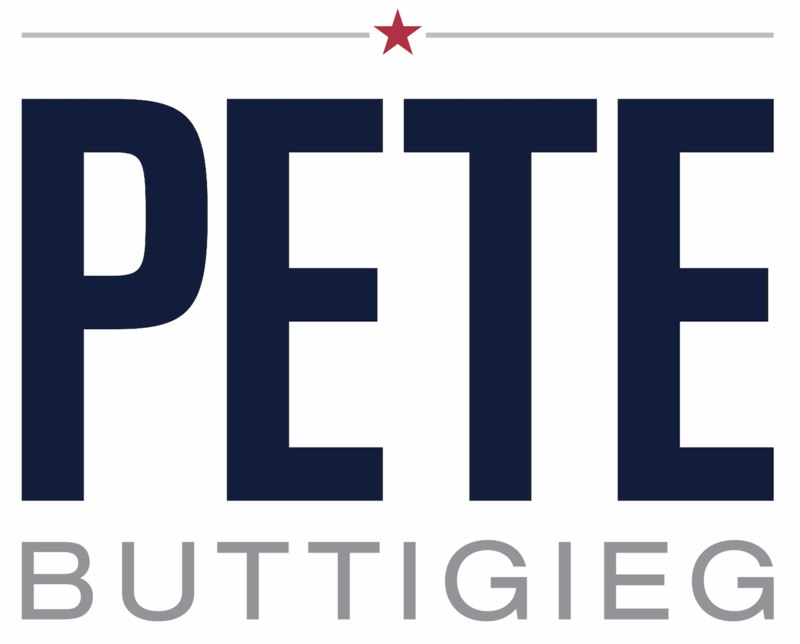 I was a junior in high school when I joined his campaign as a volunteer, and I’ve been volunteering for Democratic campaigns here in Massachusetts ever since. But of all the Democrats I’ve seen up close and worked hard to help elect, none of them have inspired me quite like Elizabeth Warren has. So when I first heard that Elizabeth was thinking of running for President, I rushed to say I was all in. If you are too, I hope you’ll chip in $3 or more to have her back. I think having Elizabeth Warren as our next President would be a dream come true – I really mean that. 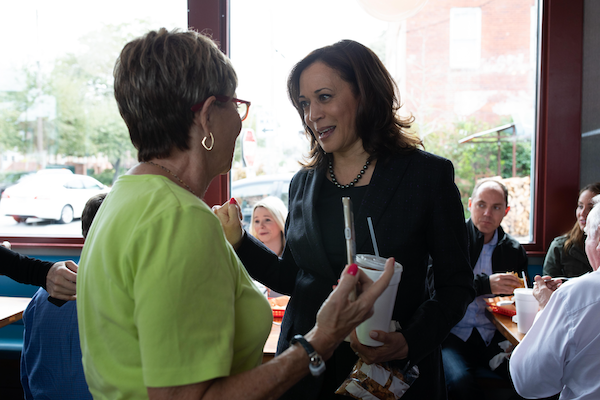 When Elizabeth first ran for Senate here in 2012, I could tell she was all about equality and justice – “on the side of the angels,” as I like to say – and I got on board pretty much right away. From the very beginning, I saw somebody whose values were very similar to my own, grounded in her working-class upbringing. I could tell that her fight was my fight. 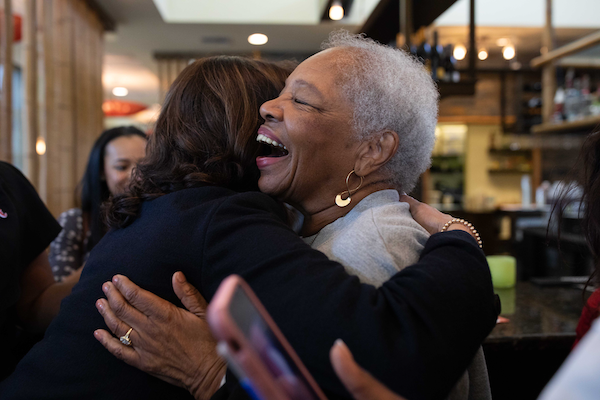 She and I both grew up at a time in this country when families like ours – who struggled but worked hard – could make it. Unfortunately, it’s much harder for families like ours to succeed these days. I’ve seen it with my students who have been crushed by some of the highest student loan debt in history. And it’s personal for me, too. When my niece graduated from college and decided to pursue a career in social work, I worried about how she’d be able to afford to pay her rent, living expenses, and student loan payments all at the same time. And my worries only got worse when the Trump administration put a student loan forgiveness program for public service workers – like police, firefighters, teachers, and social workers like my niece – on the chopping block. But Elizabeth fought hard to save that program which so many people who are giving back to our communities depend on. Our family is forever grateful to Elizabeth for fighting for us. 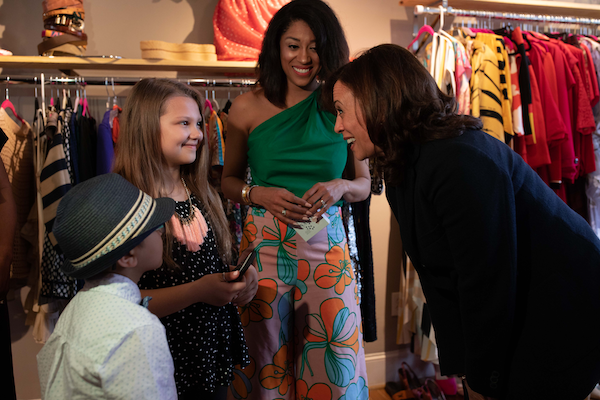 Every family deserves to have a champion – and I can tell you from personal experience that Elizabeth Warren is that champion. Elizabeth has spent her entire life fighting for policies that help middle-class families get housing, educate their kids, and access health care they can afford. No matter who you are, I guarantee there’s a reason for you to support her. But we’ve got to do more than just put up a yard sign for Elizabeth and vote for her come Election Day – we’ve got to get all in, and do it early. I know a thing or two about getting all in early. When Elizabeth first ran for Senate in 2012, I’m sad to say we lost my town of Braintree to her Republican opponent. So I made it my mission to organize my community and win it back for Elizabeth and the Democrats when we re-elected her in 2018. I did everything I could – making phone calls, sending emails, setting up meeting places, right down to making sure volunteers had water bottles on those hot 90-degree days last summer. As a volunteer leader, I’m proud to say I grew our team of grassroots volunteers in Braintree from just a small handful to 50! We fought our hearts out – just like Elizabeth does every day – and I’m proud to say we won back Braintree last year by just 92 votes! Well, I’ve seen it happen with my own two eyes. We won by 92 votes because we started getting organized from day one – and every single person’s contribution made a difference. This election is going to be the most important one in my lifetime – in our lifetimes – and we’ve got to start the hard work of organizing our grassroots campaign right now if we want to win. But to do that – to scale this wonderful campaign all across the country – takes resources. So I have a personal request to make of you: join me in supporting Elizabeth from the very beginning and pitch in $3 or more today to make an early investment in this campaign. I always tell my volunteers that whatever they can do, whether it feels like a little or a lot, makes a big difference. That goes for you too – thanks so much for being all in and for everything you’re doing. Now let’s go make Elizabeth Warren the next President of the United States. Making the Debate in June! Hello and thank you for the support! We appreciate it a great deal. Receive 65,000 individual donations, including at least 200 from 20 different states. They also said that the field would be restricted to 20 candidates, so if more than 20 candidates satisfy the criteria above, they would knock out the bottom few. We are in a great position to make this happen. I am already at 1% nationally in a Monmouth poll, and that was before the massive growth we’ve seen over the past couple weeks. That said, we are going to leave nothing to chance. We have to blow through both criteria to make sure we are in the top 20 and have the chance to speak directly to the American people. We’ve received donations from approximately 16,000 people to date. Our new goal is to have 65,000 people donate at least $1 by May 15th for our One for Humanity campaign. Across our social media platforms, we have over 130,000 followers and friends, so we know we can do this. Simply put—if everyone on this list donates $1 and gets one friend or relative to donate $1, we’re on the debate stage. Period. Donate $1 today. If you haven’t donated yet, please donate just $1 right now. That alone will make a huge difference. Convince a friend to donate $1 today. If every single person on this list convinces one more person to donate, we hit our goal TODAY. Send the donation link to all of your friends and family, asking them to donate just $1. Every single person counts. You can use this link: yang2020.com/donate. Join your local Yang Gang. Or, if we haven’t started a chapter in your area, start your own. We’ll be mobilizing our supporters around the country to get to 65,000 donors. Over the next few weeks, you’ll see a ton of resources coming from our team to spread the word—posters, flyers, QR codes, social media content, etc. We’ll even have a progress bar on our website so you can see how we’re tracking. This campaign is going to be a lot of fun. Little known fact about me—as a high school senior, I was on the US National Debate team that went to the World Championships in London in 1992. If you get me on that stage, I will deliver. It’s time to put some numbers on the board. Let’s get to work. TL;DR—Donate $1 and convince one friend to donate $1, and we’re on the debate stage. Most of our donations come from people like you chipping in small amounts when they can. Your continued generosity helps us invest in people. 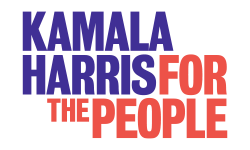 If you’d like to volunteer to help with grassroots organizing, please fill out an organizer application here and someone from our team will reach out. Last week, I appeared on The Late Show with Stephen Colbert. Stephen asked me what I thought about our current president declaring a state of emergency to secure funding for his wall. As a mayor, I know a thing or two about emergencies and how they impact our communities. Climate change is a national emergency. 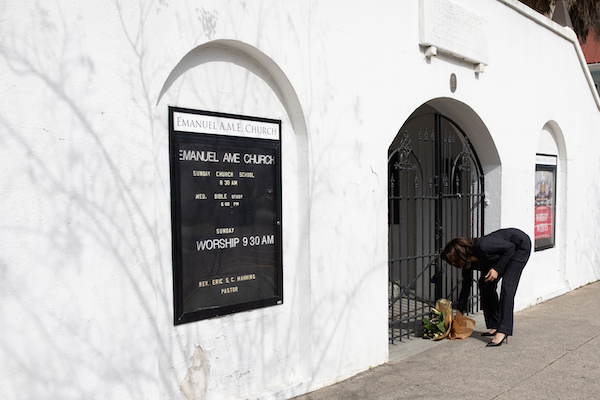 Gun violence is a national emergency. This is a political disgrace. 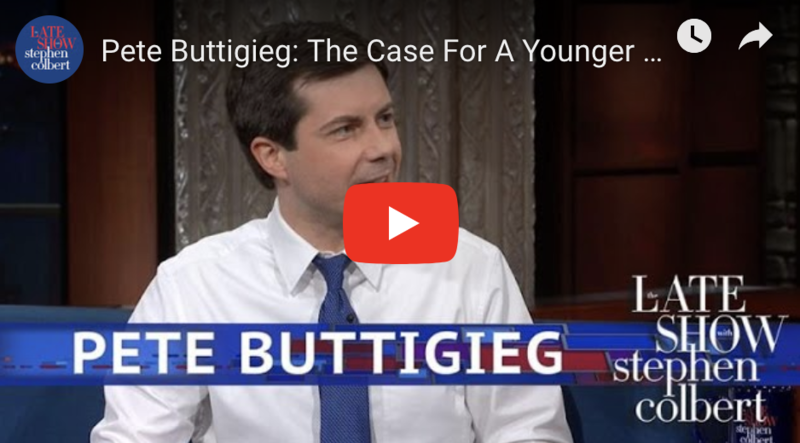 Watch the full interview, and if you can, please chip in $5 to invest in a different type of vision for our country. 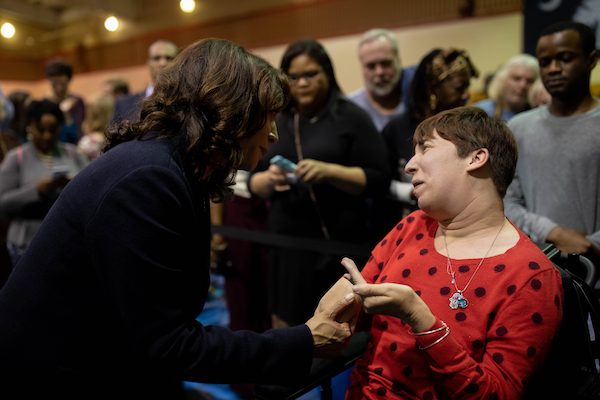 The DNC recently announced that one of the primary metrics needed to qualify for the first candidate debate will be the number of individual donors who have invested. A candidate will need 65,000 donors in order to make it to the debate stage. Right now, as an exploratory committee, we are closely tracking our number of individual donors. We have donors from all 50 states (and DC, too! ), and we are proud of our small-dollar network of support, but we need to step it up. This is not an exaggeration: We literally cannot do this without you. Thanks for your continued excitement about our exploratory committee. Paid for by the Pete For America Exploratory Committee. 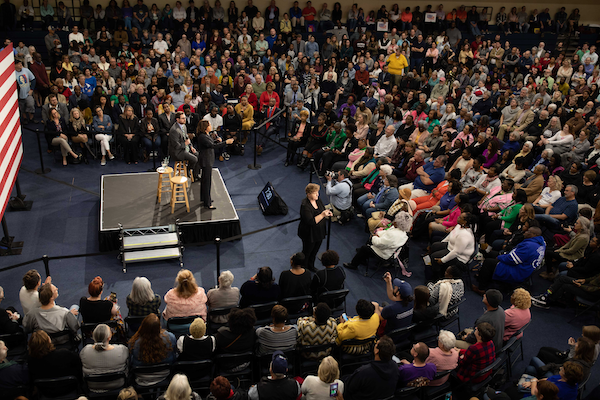 It’s been heartwarming to see hundreds of you turn out in Iowa and New Hampshire these last couple weeks, as we make our first visits since kicking off my campaign for president. The momentum we are building and the support you are showing will help propel our campaign forward in the primaries. Everywhere I go, I’m reminded of how strong our voices are when we stand united. It’s humbling to hear from folks who braved snow storms or drove for hours to make their voices heard. Looking out into a crowd of hopeful and determined faces, the energy is electric. Can you help us keep up the momentum? Chip in $50, $10, $25or whatever you can! We stand united against a political establishment and a status quo that is failing us. We stand united against regime change war, the new cold war, and the nuclear arms race. We stand united against the corruption and big money interests that have poisoned our government. We stand united for clean air and clean water. We stand united for Medicare for All and reform to our broken criminal justice system, big Wall Street banks, and our immigration system — to ensure our government is truly of, by, and for the people. The next step is to take our voices to the debate stage. The establishment isn’t going to go out of their way to make room for a message that challenges a system they’ve rigged in their favor — so it’s up to us to make sure that message reaches the country. Please share this email with your family and friends and encourage them to donate. Let’s keep this momentum going. The truth is that email is one of the most important tools we have to update supporters like you. It is one way we come together as a community of progressives to make change in this world. S Finally, if you believe we need to end the culture of corruption and greed in Washington, then now is the time to make a contribution to TULSI 2020. If you’d like to make a recurring contribution to TULSI 2020, please click here. There’s nothing to celebrate about the guy in the White House right now. So let’s turn things around: Happy Elect-a-New-President Day! In honor of today’s holiday, we’re launching the Elect-a-New-President Fund. Chip in $3 or whatever you can to help make Elizabeth the next President of the United States. Let’s elect someone who’ll spend every day fighting for the big, structural change we need. Who’s already spent her career protecting consumers and standing up to big banks, giant corporations, and powerful special interests. 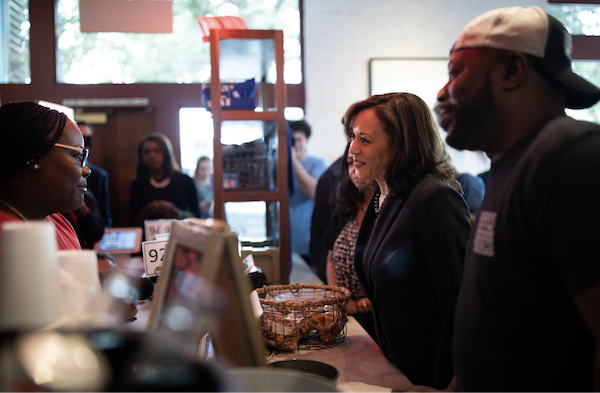 Who’s ready to make sure everyone – not just the wealthy and well-connected – has a fighting chance at success. She doesn’t take any money from PACs or federal lobbyists, so she’s relying on you to power this grassroots movement. Celebrate Elect-a-New-President Day by chipping in $3 or more and becoming one of the first donors to our Elect-a-New-President Fund. P.S. Speaking of presidents: Elizabeth and Bruce paid a visit to Abraham Lincoln in December, at the beginning of the Trump shutdown, to get some inspiration for fighting back. Chip in if you’re feeling inspired too. @elizabethwarren: We’re fighting for a government that works for the people – not a government of bigotry and fear. Decided to get a little inspiration this morning. I am excited to announce my candidacy for Fresno City Council. It is with great humility and excitement that I announce to you my bid for Fresno City Council, District 4. I am extremely proud to come from a family that has called this district “home” for 4 generations. I am running to ensure that all families in Fresno have a fair shot at a successful, healthy, and prosperous life. My own family experienced poverty, addiction, and housing issues. It is because of these hardships that I realize the importance of advocating for one’s community. As a councilmember, I will fight for more jobs, better pay, safer streets, and cleaner neighborhoods. However, I can’t do it alone. It’s folks such as yourself that help to make this campaign possible. To learn more about the issues I’ll be fighting for, I encourage you to visit our website or Facebook page. If you would like to support the campaign with a contribution, you can do so on our donation page. Please feel free to contact me if you have any questions, or simply want to chat. I look forward to continuing to earn the support of families in my community and am eager to share this journey with you along the way. Follow Tyler on social media! 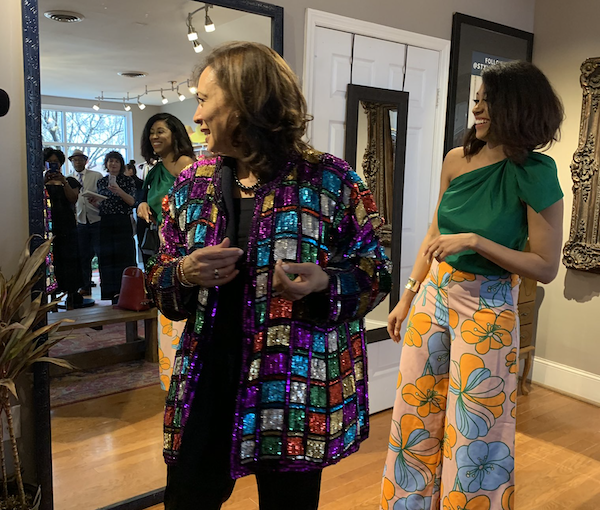 I had a wonderful time in South Carolina these past two days visiting Charleston and Columbia, and I wanted to share some photos from the road with you. That’s the only way to describe Trump’s “national emergency” to get his wall. Thousands of immigrant children have been ripped from their parents. Some of them have even died in U.S. custody. Not to mention immigrant farmworkers in my district fear deportation each day because of Trump’s policies. I’m tired of talking about this dumb wall. But the truth is, we’ll never have a serious conversation about immigration reform until we defeat the Republicans’ hateful policies at their root. The best way we can do that is winning in 2020. If you’re with me, chip in $10 today. Every donation will go right to work defeating the Republicans’ hateful immigration policies. Let’s get this done. I announced on ABC’s This Week today that California will definitely and imminently file a lawsuit in response to President Trump’s national emergency declaration. President Trump’s actions are a huge overreach of his constitutional authority. California will not let this stand. Contribute $5 now to stand with me in the fight ahead to hold President Trump accountable. Let’s be clear: President Trump’s attempt to fulfill a campaign promise does not constitute a national emergency. Even the Department of Homeland Security says it’s harder to cross the U.S. border now than at any time in recent history. Unlawful entries are at a 20 year low. This simply isn’t a crisis. We’re suing to prevent President Trump from violating the constitution and stealing taxpayer dollars meant for other purposes. This will be a long and crucial legal battle and I need your support. Contribute $5 now to show you’re standing with me to fight President Trump’s unconstitutional national emergency declaration. 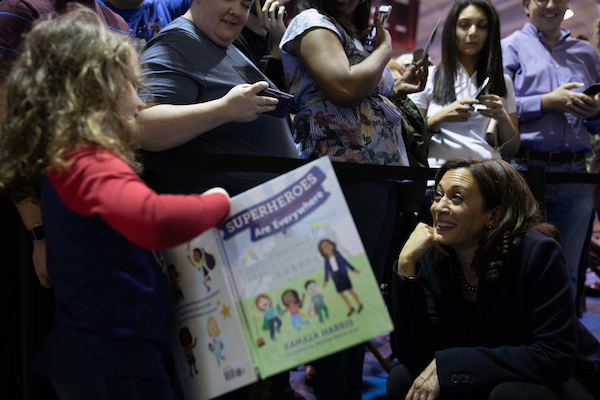 Show everyone you’re on Team Kamala with official Kamala for President merch. Get yours this weekend for 10% off with code PREZ. Let’s be clear: There is no “national emergency” at the border. It isn’t a “national emergency” that Congress didn’t fund Donald Trump’s ridiculous wall. And when he acts like a king to try to build it anyway, it’s an unconstitutional power grab. Donald Trump’s hateful border wall reminds us why we’re in this fight. 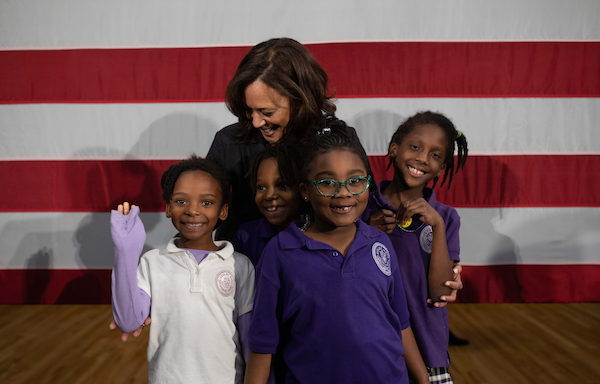 We’re working our hearts out to elect Elizabeth as the next President of the United States because she knows that bigotry has no place in the Oval Office. Elizabeth knows that the rich and powerful use fear, including phony “emergencies” like this one, to try to divide working people. That’s what the wall is really about: trying to make people scared of immigrants. So scared that no one will notice all the ways the wealthy and well-connected have rigged the rules of our economy and our government in their favor. It’s an old playbook, and we’re not falling for it. We’ll fight this wall with everything we’ve got, and we won’t let Donald Trump weaponize hatred and bigotry to divide us. Make your first donation to support Elizabeth’s presidential campaign and help build our grassroots movement.